Tressa lives in the foothills of Golden with her fiancé and their 5 dogs and 3 cats. Always an animal lover, Tressa originally worked at Indian Peaks Veterinary Hospital in 1998 as a kennel technician and moved into a role as a veterinary assistant until 2008. She returned to Indian Peaks Veterinary Hospital in 2013 as a part time receptionist. Tressa has since moved into a technician position. 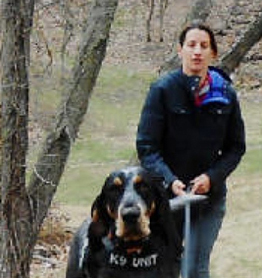 Outside of Indian Peaks, Tressa works with her tracking dogs to search for missing pets.